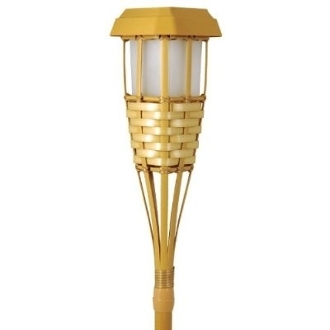 A fun, exotic twist on traditional path lighting, this Tiki Torch path light by Solar Light Mart features durable plastic and bamboo construction--complete with woven detailing and a torch-style head for that touch of island authenticity. Better yet, its flickering amber LED light creates the aura of a real fire's crackle and snap while eliminating the dangers of an open flame, making it the perfect light source for families with small children, homes with pets, and, yes, even those parties serving lots of pina coladas, daiquiris, and tequila. 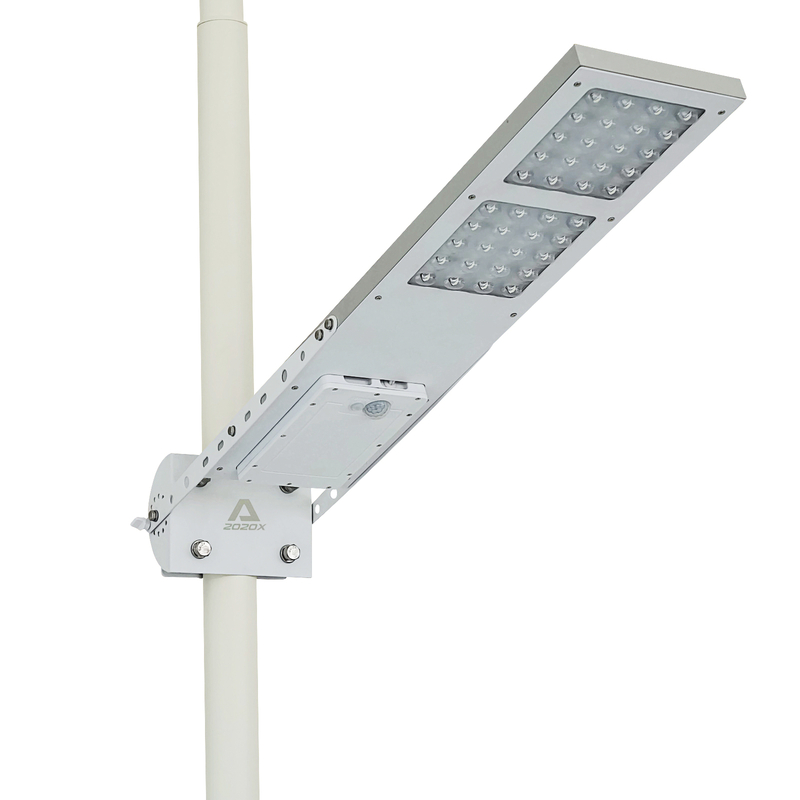 Fitted with a top-mounted solar panel and powered by a rechargeable AA NiCd battery (included), the path light charges during the day and automatically turns on at night, creating an energy-efficient light source that requires little to no maintenance. Best of all, its slender stake and cord-free design allow for complete portability--simply move it wherever the party strikes. Enchanting on its own or paired with additional units (sold separately) to create a row of illumination, the Tiki Torch path light stands 59-1/4 inches above ground.